5 Reasons why you should ask your Real Estate Agent for an Interactive Floor plan. Floor plans have always been a part of real estate marketing forever, however innovative technology now allows your Real Estate Agents turn your property’s flat floor plan, into an engaging customer experience. No matter who you have your home listed with, they will undoubtedly encourage you to order different levels of real estate marketing materials including professional real estate photography, cinematic property videos, an engaging microsite, etc. In my experience, many vendors don’t understand why they need to have a floor plan at all yet alone pay to have an interactive floor plan. This blog will hopefully shed some light! Firstly, why do we need a floor plan at all? The first three reasons cover all types of floor plans. 1) A potential buyer can see how the house works. There are certain buyers who have certain space requirements, like large families, or home businesses, and they won’t take the time to view a property unless they know it will work for them. 2) A floor plan helps a house seem larger. Often buyers miss things or forget what they have seen after inspecting a property. Storage rooms, cupboards, cloak-rooms & water closets disappear out of mind. As a floor plan is a bird’s eye view, nothing is omitted and so in can increased the perceived space, and therefore value, of your home. 3) Floor plans can help convert a buyer to a sale. After a potential buyer has walked away from the inspection, you want them to feel as though they were still there. For some personalities, photographs will help. For many personality types, a property video will certainly help. However, neither of these formats cater to the detail orientated personalities. Floor plans do. These buyers walk to see where they might move a wall or install an underground bunker and come to feel as though they have an ownership, which will lead to a higher sale. What is an interactive floor plan? Interactive floor plans are a powerful online marketing tool allowing buyers to navigate their way around a property before the open house. Buyers simply click on individual rooms in the online floor plan to open up its still image. 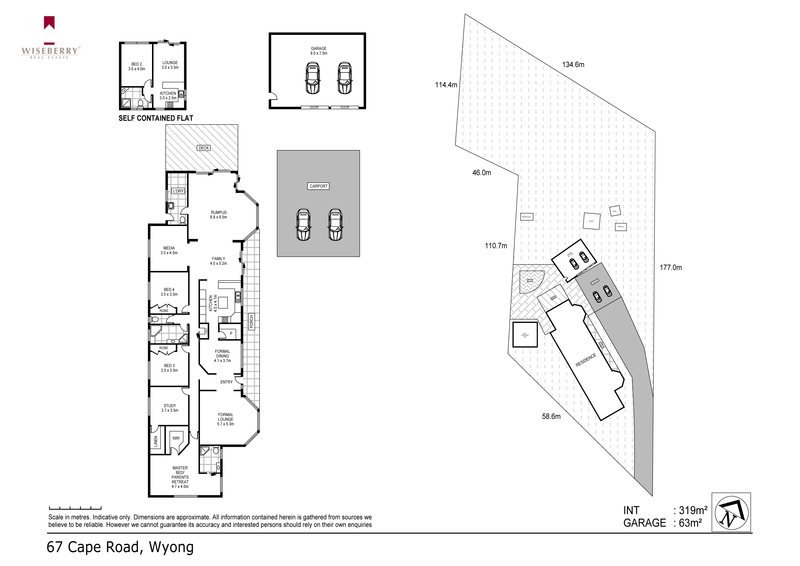 Click to view an Interactive Floor plan. Next, why do you want to invest into an interactive floor plan? 4) Increase on your return on investment. Vendor paid advertising in an investment from you, the vendor, into getting the best sales result for you whether that is a fast turn around or top dollar, whatever. Just like any other investment, you want to get the most out of your marketing spend. Interactive floor plans allow you another opportunity to use the beautiful property photographs and recapture a potential buyer’s attention. 5) Multiply the power of your floor plan! An interactive floor plan, as the name suggests, allows for a hands on learning experience, which any parent will tell you, is the best way to connect with people. Adding an interactive floor plan to your listing means that you cover all four learning languages; reading, audio & visual (property video and photography) & kinesthetic (interaction). This will lead to your potiential buyers getting the most out of your listing, which will in turn, help you get the most out of your investment. BONUS: Add interactive floor plans to your brochures and print listings. Through the use of a microsite and/or a QR code or URL, you can give your print ed floor plans a boost! What do you think of our Interactive Floor plans? To find out more, please contact us.